The Buffalo Bills come to MetLife Stadium to face the New York Jets in AFC East action on Thursday Night Football. The Bills are really cruising along nicely now, winning their second in a row on Sunday with a 34-14 win over the Raiders. The Jets have lost two in a row, falling to 3-5 with a 25-20 loss to the Atlanta Falcons. At the same time, the Jets have not failed to cover a spread since week two. As division rivals, this is their second meeting of the two teams, with Buffalo having posted a week one win over the Jets in Buffalo, 21-12. It was a pretty close game the whole way with a fourth-quarter touchdown giving the Bills the separation. The Bills are looking good nearing their season's midway point. Since coming off the bye, they scored two nice home wins and now look to follow suit on the road. They can run the ball well, while being adept at stopping the opposing run on defense. They don't make a lot of mistakes, with Tyrod Taylor managing the Bills' offense smoothly. And while they can be exploited through the air on defense, they make a lot of plays. As a team, they really seem to have congealed under first-year coach Sean McDermott. They've already surpassed the number of wins many observers predicted they would have this season. On Sunday in the big win against Oakland, the Bills applied the same tactics that make them a team worth watching. Taylor was efficient on 20-for-27 passing with a TD, while running in a score, as well. LeSean McCoy was a handful, running for 151 yards, including a rumbling 48-yard touchdown run. In other words, it's not an offense that is going to light it up aerially, thought they made a nice midweek trade to get Kelvin Benjamin from the Panthers. But they are efficient with their passing-attack, along with a robust ground-game led by McCoy and Taylor. On Sunday, Andre Holmes caught a TD pass. Buffalo's defense was a key part of the big win on Sunday. Matt Milano took a fumble out of the air and ran it in for a touchdown right before the end of the first half. Both Micah Hyde and Trae Elston had interceptions, with Hyde's being his fifth this season. They also kept the Oakland run-game grounded. The middle with Preston Brown and Lorenzo Alexander were all over the field. On the season, the Bills have already secured 17 turnovers on the season with a couple scores. After starting the season 3-2 with three straight wins after an 0-2 start, a little of the luster has come off with three straight losses, including the 25-20 loss to Atlanta on Sunday. Still, the Jets are more-competitive than many thought they would be, as a lot of people picked them as the worst team in the conference entering the regular season. Their last five games have been decided by a total of 21 points. They make games close and play hard, while offering a certain level of balance on both sides of the ball. And on Sunday against Atlanta, they took a lead into the fourth quarter before waning a bit late. On Sunday, Jets' QB Josh McCown was again effective on 26-for-33 passing with 257 yards and two TD throws. It's fair to say he has been a surprise, completing over 70% of his throws and being somewhat prolific in spots. He has made the most of a pretty desperate situation as far as their receiving corps goes. WR Robby Anderson had a nice game on Sunday with over 100 yards and a TD, with RB Matt Forte adding some nice plays. They're getting better play from tight ends Austin Seferian-Jenkins and Eric Tomlinson, who caught a TD on Sunday. If Forte and Bilal Powell can add more of a consistent rushing attack, it would really help out. On Sunday against Atlanta, they couldn't run the ball much. Still, McCown has extracted a lot out of this group. The Jets' defense has ebbed a bit in the last three weeks, key for them losing three straight. But even then, they haven't been all that terrible. If you take a few results out of the mix, they've mostly been very serviceable. At times this season, they haven't been very good against the run and they weren't on Sunday. They have 13 turnovers on the season. But the defensive line, once a major asset on this team, has neither been good at getting after quarterbacks or in slowing down the opposing rush. In week one against this Buffalo bunch, they took a bit of a beating from the Bills' run-game and with McCoy on a good roll now, we'll see what they come up with at home on Thursday Night Football. I think the Jets will enjoy being at home again, as they are nice and dug in, with Buffalo taking to the road after a bye week followed by two home games. Still, it's not all that much of a road trip. The Jets have been playing teams close and in a divisional game at home, it seems like a weird time for them to stop being resolute. Both teams have overachieved this season to different degrees, making one believe each team will give a good effort on Thursday, despite coming off the short week. I'm taking the home dog in what has the looks of a close game. 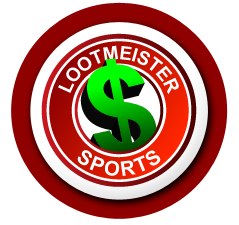 Loot's Prediction to Cover the Point Spread: I'm betting on the New York Jets plus 3 points.Tired of your credit card not working for sportsbook deposit? End that problem today and bet the Bills vs. Jets game from the comfort of home by signing up at Bovada Sportsbook where your credit card WILL work and where you'll receive a generous 50% sign-up bonus!